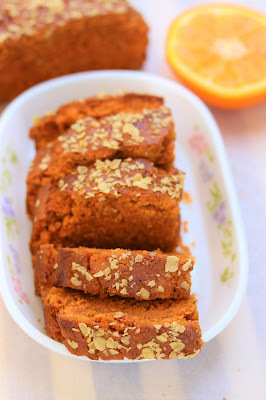 Learn how to bake an eggless orange cake recipe using jaggery. 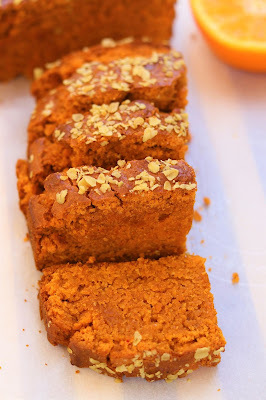 This cake in baked in airfryer so has a nice crust outside and soft from inside. Eggless Orange cake is soft, moist and fluffy. 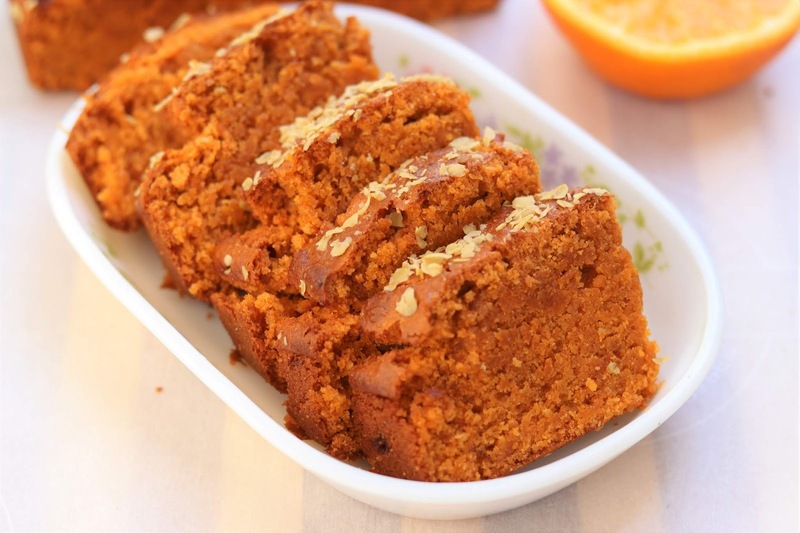 Orange Cake is a very healthy cake as it is made of Whole wheat flour, oats, jaggery and freshly squeezed orange juice. 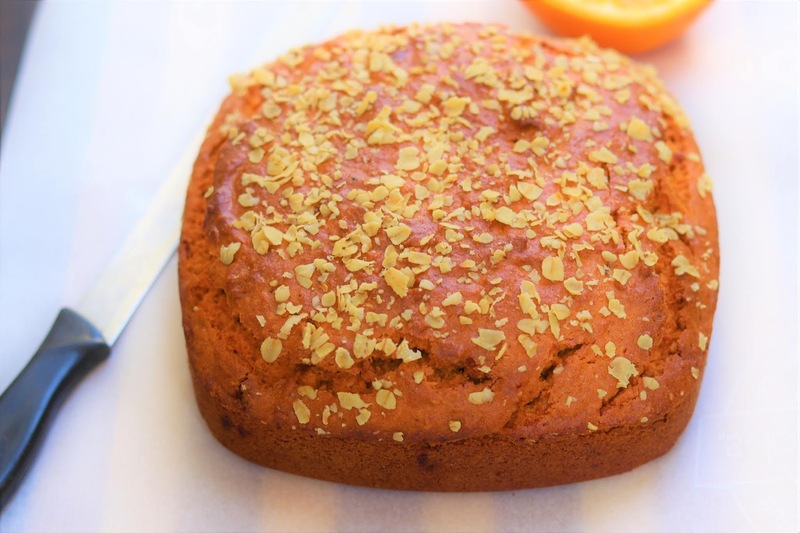 This is a flavorful oats cake recipe. Must try it out. 1. 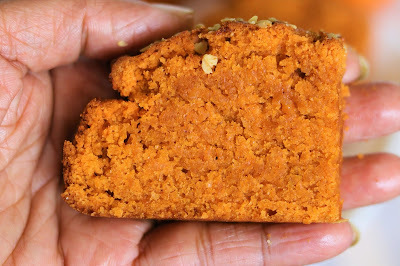 In a bowl, take oil, milk, jaggery powder. Mix together till jaggery dissolves. Add in orange zest along with pinch of orange food colour. 2. Sieve dry ingredients in same bowl - whole wheat flour, baking powder, soda, salt, cinnamon powder. 2. Combine dry ingredients with wet ingredients to prepare a smooth batter. 3. Add in freshly squeezed orange juice. Mix well. 5. Grease a baking dish, line with parchment paper. Pour the batter and tap it for few times to level it up. 7. Cool down the cake completely. 8. Cut the cake in any desired shape.